We know our regular meeting days are the 3rd Tuesday of each month, but this year it falls in the same week as the Christmas holiday and we want to make sure that it doesn’t interfere with any holiday travel plans you may already have. 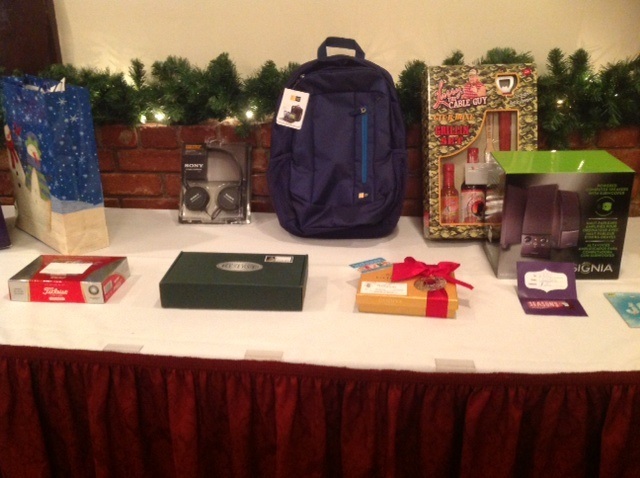 Be sure to bring door prizes for the raffle! The holiday luncheon is always well attended and we hope that by having it earlier in the month, this year will be no different. Mark your calendar now and be sure to attend! 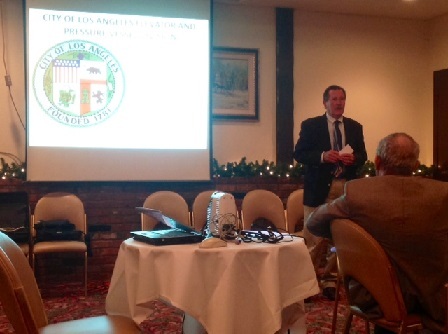 The 2015 Elevator Industry Group Of Southern California Golf Fundraiser is June 19th! Come help raise funds for the Elevator Escalator Safety Foundation! We NEED your support, golfers and sponsorship opportunities available! Please register here:EIGSC Golf Brochure 2015! How quickly 2013 has passed! 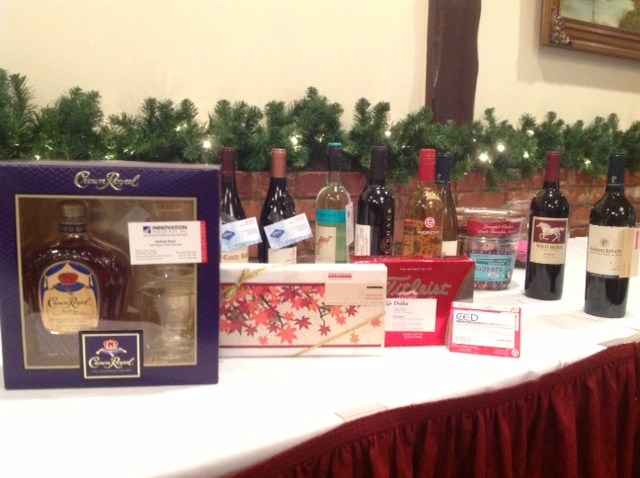 The December EIGSC Holiday Luncheon was full of laughter, camaraderie, and let’s not forget raffle items! So many items it was difficult to get them all in one picture! contributions help the group in a tremendous way. 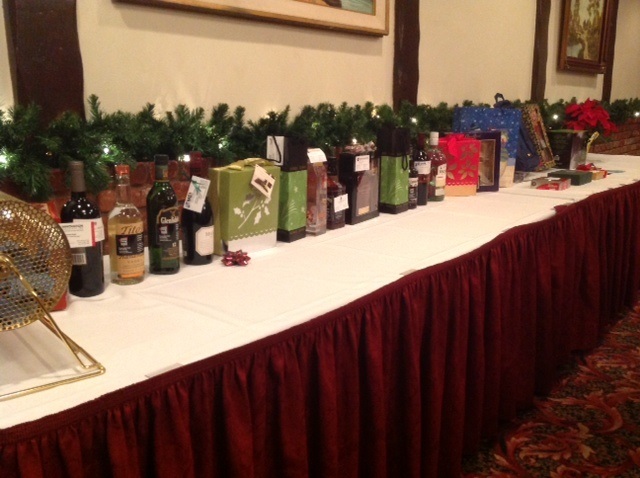 Almost everyone was a winner; with a select few who won so many gifts they needed help carrying them out of the room! Special thank you to Angelika Carry for purchasing gifts for the EIGSC, as well as the beautiful Poinsettia’s that adorned every table. Outgoing President Rudi de Ocampo, Treasure Angelika Carry, and 2014 President Ray Miller! Happy New Year! The 2014 new year is in full swing and I am hopeful that everyone had a wonderful holiday season and finished off 2013 in good spirits! As your 2013 President, this will be my last official President’s Message to all of you. I wish to thank each of you for your continued support to me, my Board and most of all to the EIG of Southern California Industry Group! Without everyone’s membership dues, event involvement and consistent attendance in our monthly lunch meetings this EIGSC Industry Group would not be possible and are able sustain year after year! I also wanted to personally thank my 2013 Board of Directors: VP/Ralph Lawson (Retired); Treasurer/Angelika Carry (Smoke Guard CA); and Secretary/Jason Thibodeau (Sunstate Equipment) for their hard work and dedication that they provided throughout the year. Congratulations to each of you and I know that you will all do a fine job for our EIGSC Industry Group in 2014! Ray Miller grew up in Tampa, Florida and attended college at Florida State University where he majored in Business Management and minored in Psychology. Ray began his career in the Elevator Industry as a customer service representative for SEES (Southern Elevator & Electric Supply) in Pompano Beach, FL before becoming their West Coast Sales Manager and moving out to Los Angeles, CA. Ray has been with Draka Elevator Products for the past 4 years where he is currently the Sales and Operations Manager for their West Coast operation. Ray held the Secretary position in the EIGSC from 2011-2012 and is now excited to accept the role of President. 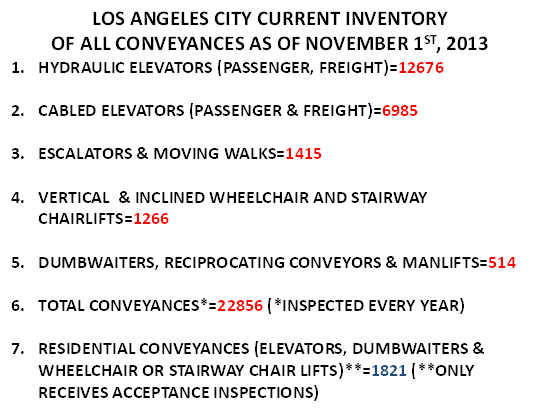 It is incredible the City of Los Angeles has 22,856 conveyances and growing! That is a lot of potential business for our industry! All three presenters spoke about the good outlook for the future. 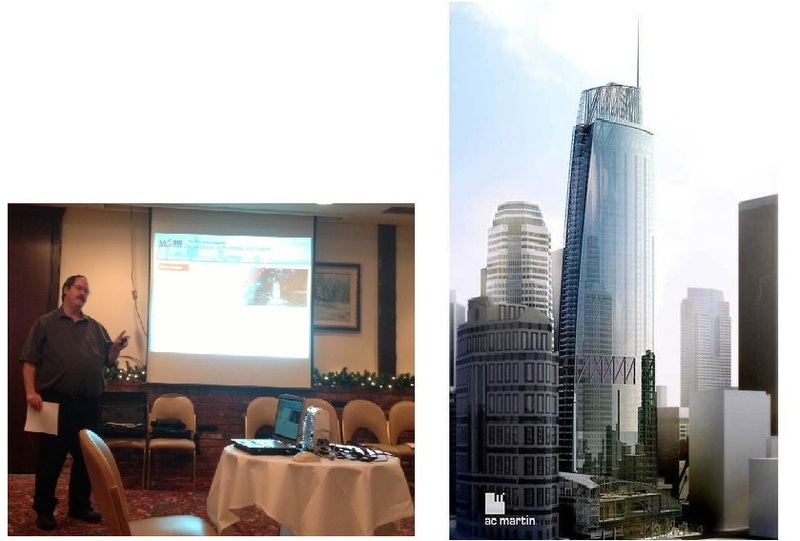 The presentation described the many upcoming high rise projects, renderings of the new 73 Floor Wilshire Grand Tower, and high dollar projects at LAX. The Los Angeles skyline is changing! Soaring to 1,100 feet (including the spire), The Wilshire Grand Tower will be the tallest building on the West Coast. It will also have the first double deck elevator in city of Los Angeles. Scheduled completion is 2017! A special Thank You to Peter Callas – Chief Inspector, Barry Friesen – Principal Inspector, and David Jennings – Senior Safety Engineer for their presentation and ongoing participation in the EIGSC. 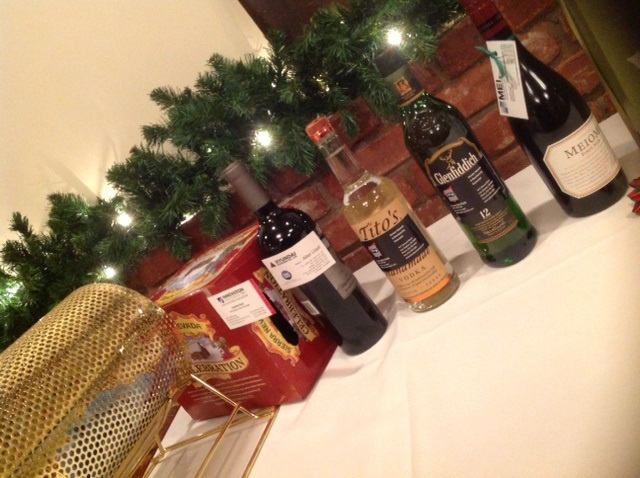 Thank you to everyone who contributed to the Raffle! NEED MORE GOLFERS – SO SIGN UP NOW! Registration: 12:00 p.m. / Shotgun Start: 1:00 p.m. 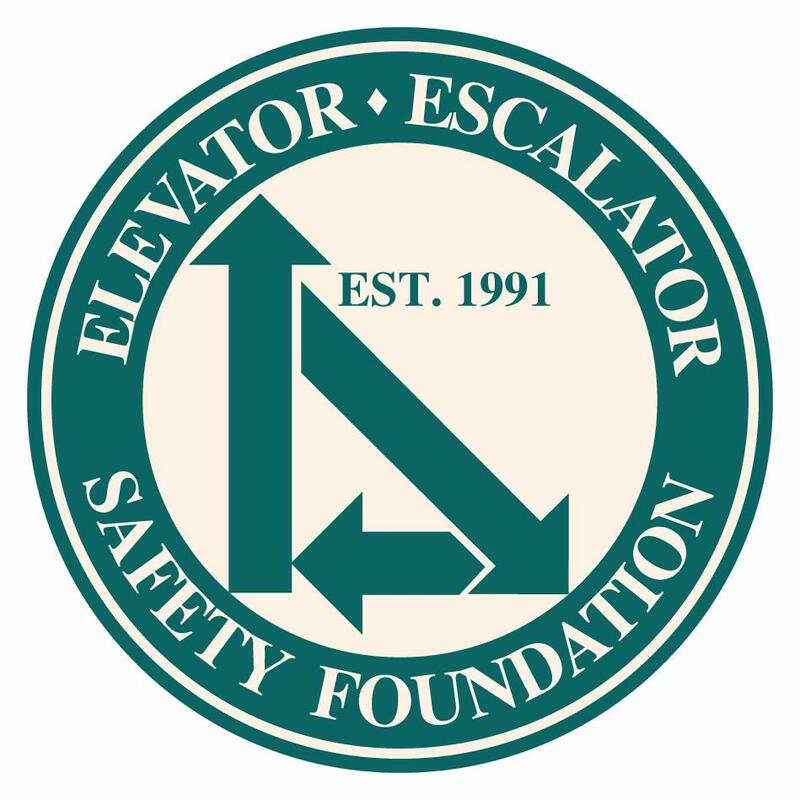 The Elevator Escalator Safety Foundation (EESF), a non-profit 501(c)(3) organization, welcomes you to the resource for rider safety education. The Foundation has four free programs available to the public; Safe-T Rider(c) for children, A Safe Ride(c) for adults, Rise Up Safe Rider for university students and the public and National Elevator Escalator Safety Awareness Week for the public. EESF was created by the elevator/escalator industry to develop and disseminate safety materials to the public in order to eliminate preventable accidents on the industry’s equipment. A recognized charitable organization in the United States and Canada. Affiliated with the Canadian charitable organization, Elevator Escalator Safety Foundation of Canada. Affiliated with safety-minded organization in the United Kingdom and Argentina. Education of young children with the Safe-T Rider program.